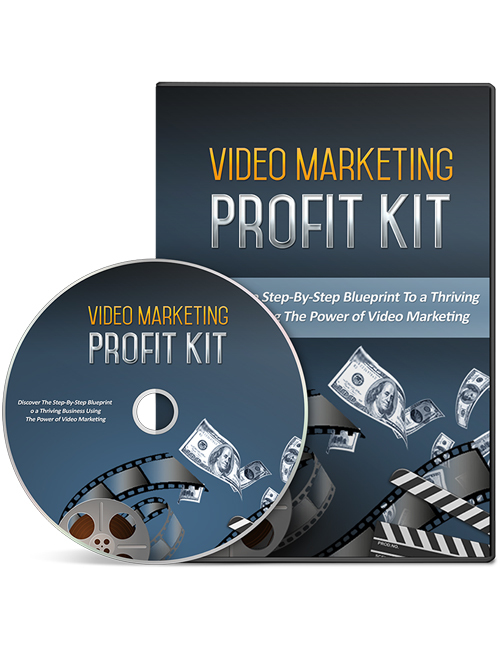 If you aren’t utilizing videos into your marketing efforts than this course is one you definitely want to check out. Video is the most consumed type of content today with millions of videos being shared across the world. More and more businesses are implementing video in their marketing efforts because of the fact that video engages viewers and motivates them to take an action. In this 10 part video course which complements the Video Marketing Profit Kit ebook, you will discover the best type of video to create, how to use video to skyrocket your business, how to make cash with your videos, how to promote your video content to keep it churning money and reaching new audiences, how to optimize your videos so they are ranking well and much more. The great thing about video is the exponential growth that is possible and the massive reach potential. When you create a video, that video can reach an audience so massive that it can be gaining you new customers just for the fact that it’s gone viral. There’s a lot to digest here so when you’re ready, hit the download button. Video marketing cannot be neglected. It needs to be a big part of your promotional efforts and business growth. Make it happen.